Twenty-five years ago this month, up a hill on the western edge of a small rural town in the far north of England, four young men gathered in a rather modest recording studio to record a single song. They were there to see a demonstration of some of the studio's equipment, and the song was intended to be nothing more than an interesting way to see the equipment in action. From the very start, that time in the studio became more than a mere demonstration. Something special was happening. Ideas flowed easily, and enthusiasm for what was being created grew with every moment. Within hours the song was completed. That song was 'Fish', the first ever song by the band known as Dayglo Fishermen, and it was released to the world just a few months later on the band's debut album 'Drenched'. To find out more about that song and its production read the earlier article, 'The Origin of Fish'. 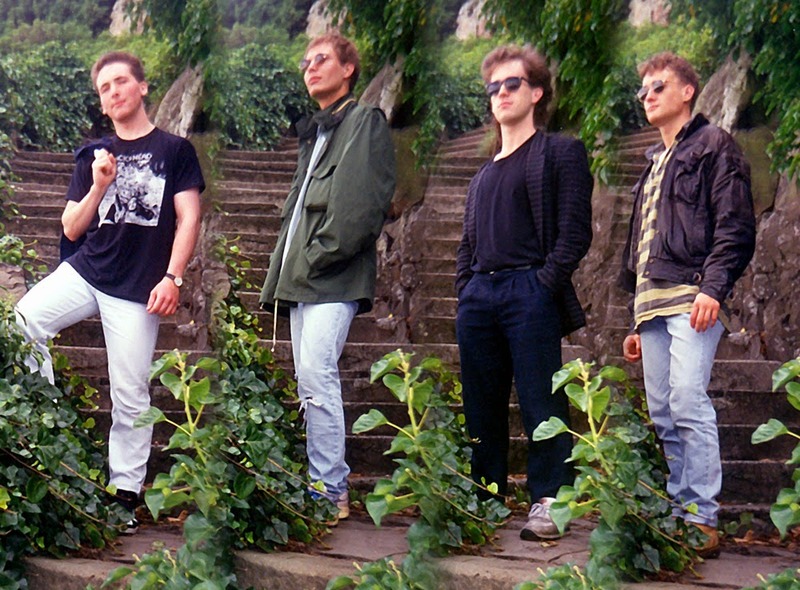 In the years that followed, and with various line-ups, the band have gone on to record numerous albums and perform concerts in some impressive venues, including 'The Rock Garden' in Covent Garden, London, and the Moot Hall, an imposing medieval building in Hexham, Northumberland. After quarter of a century of recording and performing the band has amassed an extensive and remarkably diverse back catalogue of music spanning 18 studio albums and two live concert albums. 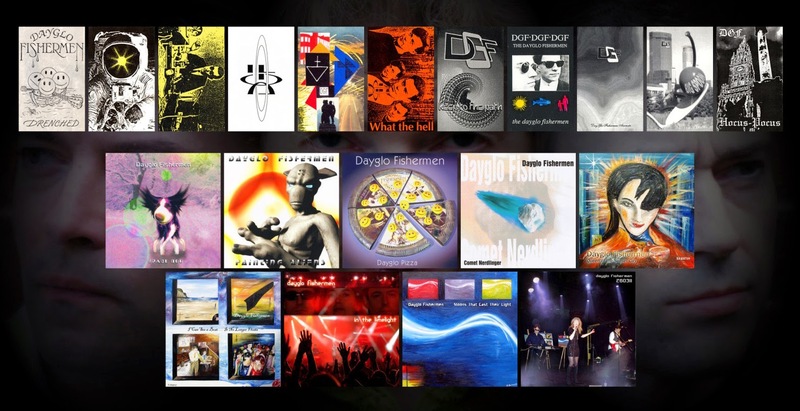 All are available to download on the band's official website. 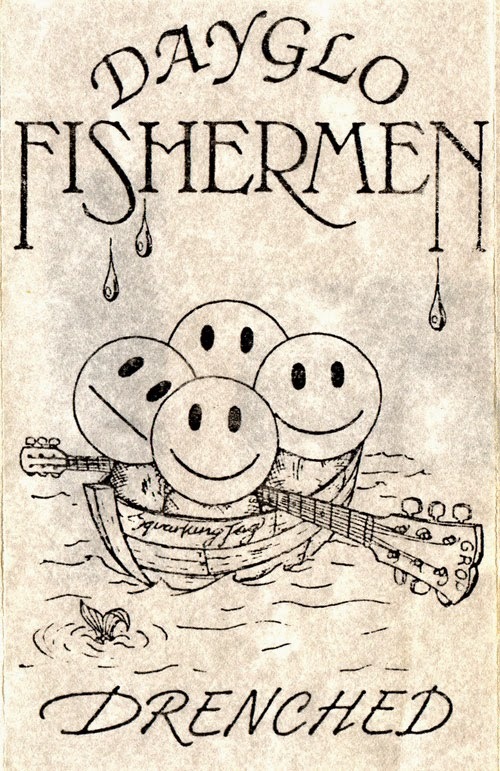 Dayglo Fishermen have a new album scheduled for release later this year, and rumours from the band's inner circle suggest that it will be yet another unique and very special collection of songs. 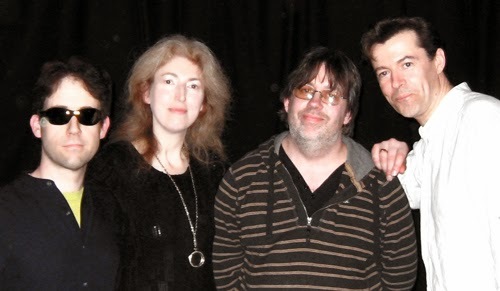 The band's current line-up, Peter Fothergill, Richard Burton, Ginny Owens and Sean Wills, are showing no signs of retiring. They are looking forward to the next stage of the band's evolution, and even before the release of the new album they are germinating the ideas that will result in yet another collection of finely crafted music sometime over the next few years.